Yesterday marked the first Monday at my new job and, as of right now, I’m loving it. 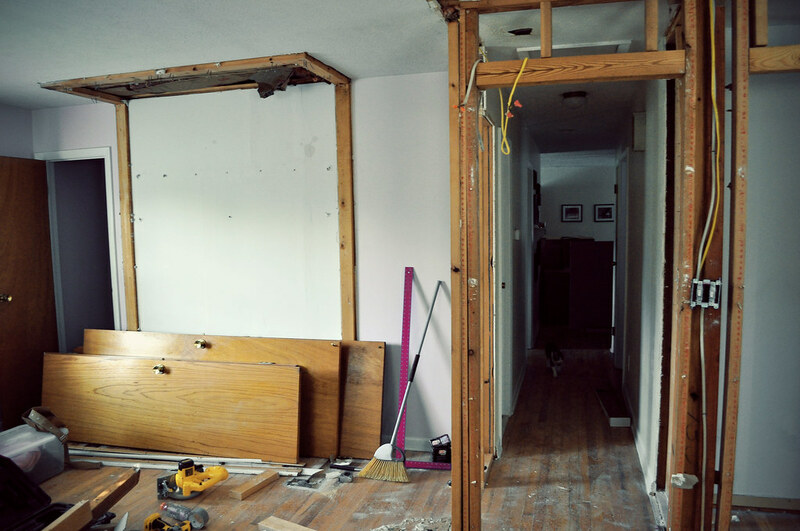 Yesterday I got home to find that Mike had already ripped out one of the closets in the back bedroom and that much to my disbelief, the renovation was under way! Today I came home to a very sweaty Feef, and even MORE had been ripped out! There used to be a wall here! 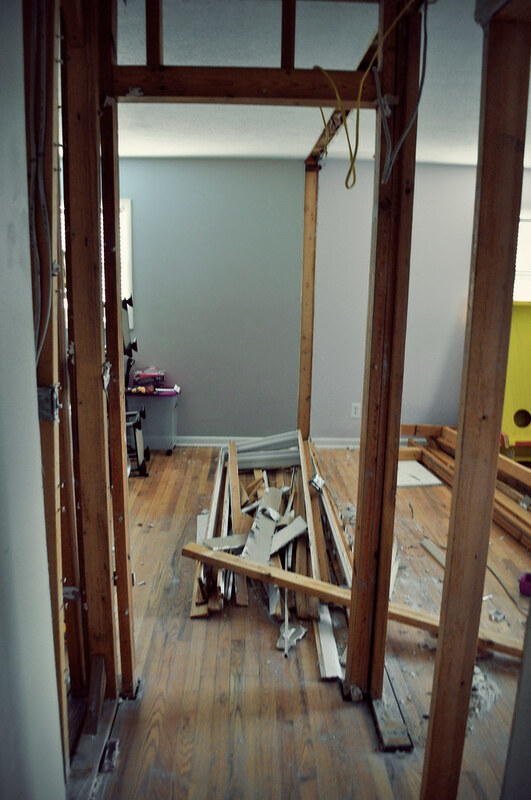 Mike’s goal (AKA My goal) is for everything to be done (with the exception of the new carpet) by Friday. We’ll see. STILL buried in boxes over here. If you don’t hear from me tomorrow, send over the search and rescue team! Might have your expectations a little high for Friday, but you can always hope.